Gubernatorial candidate and current speaker of the Vermont House of Representatives Shap Smith stopped by Johnson State last Tuesday for a brief stump speech and Q&A with students as part of Politics Week, a series of politically themed events organized by the Politics Club. An early challenge for Smith has been distancing himself from Governor Shumlin, with whom, as a fellow Democrat and Speaker of the House, he had a close working relationship. The first question of the Q&A section was about Smith’s position on Shumlin’s decision to “abandon single payer healthcare”, a decision for which Shumlin received a good deal of criticism. 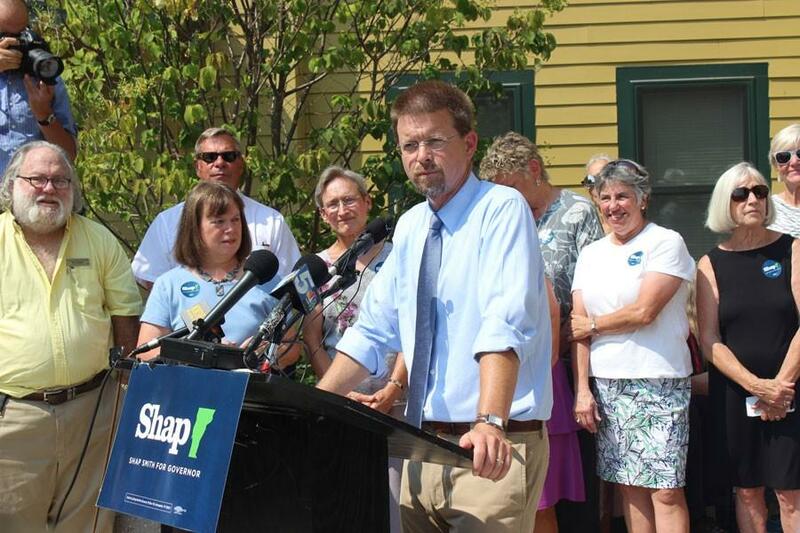 Smith replied by explaining both why he supported the push for single payer and how, going forward, he would approach expanding affordable health coverage for Vermonters. “The problem was two-fold,” said Smith. “One, the Vermont Health Connect was just a disaster and so people really lost confidence that government could do a financing mechanism at all, and that was fair. […] The other problem is that we were trying to create a new system, a completely new system, and that creates disruption. In an interview after the event Smith was asked about the ways he would differentiate himself from Shumlin if he is elected. “Peter and I have had many differences on policy,” said Smith. “I fought with him to protect the earned-income tax credit because I felt it was important for people on the lower end of the ladder to have an opportunity to make work pay. He and I had disagreements about the size of the Vermont State Hospital and how many beds we should put there. I thought we needed more beds, and I think it’s been borne out that that was true. We’ve had many other areas of disagreement. Many other hot-button issues of concern for Vermonters—particularly college aged Vermonters—were also covered over the course of the hour-long event. Touching on the high costs of higher education, Smith posited student loan debt reduction for students who choose to remain in Vermont after graduation and ensuring that debt repayment remains a realistic percentage of a graduate’s income as two options he would consider when confronting the issue. Another issue of concern addressed by Smith was the redevelopment of Vermont towns and the creation of affordable housing. The trend, according to the candidate, is for young people to look for affordable housing in densely populated areas that are more conducive to building community. Along with infrastructure investment, he envisions utilizing state-private partnerships and tax credits to incentivize redevelopment of local downtowns to make them more attractive places to live now and in the future.